Hello, I’m new to this forum but not new to melanoma. I had stage III in right leg 30 years ago and had CLND because that was the only treatment available. I have some swelling in my right leg as the day goes along but I’m not sure it is considered lymphodema because when I wake in the morning, my foot and leg have returned to normal.I know I have been very fortunate. Three years ago I had Stage III in my left leg and had a SLNB where two inguinal nodes showed melanoma. It was followed by Interon A for 1 year. I have a little bit of swelling in my left foot, but again, in the morning I have returned to normal in both legs. Now a third time, I am waiting to find out the results of a biopsy on an 2.5 cm inguinal node on the left side. My Dr. and I haven’t fully discussed treatment because we are not certain about diagnosis and have not done any tests to see if it appears anywhere else. From the brief conversations with my Dr. it sounds as if he will be recommending CLND on the left side. My question is whether anyone has any experience with this? Is this the only path forward? If I have CLND on the left side I’m very concerned that I will have lymphodema in one or both legs. But, of course, if CLND is the only way forward, I will take that risk. My brain has been very busy since I found out about the enlarged inguinal node and so I wondered if someone on this forum could offer their experience. Thanks! Thanks for posting your background with melanoma. While unique in many respects, there are a few of us out there that have had recurrences many years after the fact. Thus the importance for everyone to remain vigilant in checking their skin. So smart of you also to be asking the question about a complete lymph node dissection. I am not sure where you are being treated in Canada, but in the last two years the recommendations around the CLND have completely changed. It is one of the most significant changes in surgical procedures that has happened in a long time for melanoma. A recent meta analysis of the effectiveness in CLND in the overall survival in patients indicated that it made no significant difference. As a result, most patients will not receive a CLND and it is not being recommended in most cases. In some cases where there is palpable disease, I believe they may recommend. I am not sure if your surgeon is familiar with this recent update, but it is worth asking for sure. 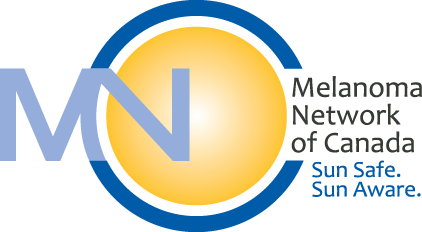 I would also recommend you go on our website and look at the most recent video from our patient information session held last October at Sunnybrook (Odette) Cancer centre in Toronto, where one of the leading surgical oncologists (Dr. Frances Wright) presented updated information on this very topic. Fortunately now, for stage III fully resected melanoma (all of the operable melanoma has been removed), they are able to offer adjuvant systemic therapy, that has only been available in the past to the metastatic patients. Opdivo (nivolumab)may be available for you, so this is something that you may want to ask your oncologist about. I have tried to attach a link to the study I referenced, but it may not come through. Let me know if you have any other questions or if you would like to hop on a quick call to discuss. Annette, thank you for responding so quickly! Your response is very supportive. My Doctor is familiar with the recent updates. I will be talking with him soon so I appreciate viewing the video of Dr. Wright explaining the recent surgical updates – I feel more informed for my consultation. I may very likely take you up on your offer to ask other questions or call. Do I reach you through the Melanoma Network e-mail address? Hi Barb. You are most welcome. You can reach me either by phone 905-901-5121 x 101 or email acyr@melanomanetwork.ca. Good luck in your appointment. I ope it goes well and that you can avoid another surgery. I have some lymphedema in one leg from the lymph node issue and while not a huge problem as it isn’t too bad, it does swell and cause some discomfort. I don’t think I would like both legs like that. Hoping they can look at some systemic treatment option for you considering the spread to the second leg. Let me know if you have any other questions. I see that Annette has written you about the Melanoma but I thought I might talk to you about the Lymphedema. I had RLND in my left groin in 2010 and most recently had a recurrence where another melanoma formed and was removed from the same area. I also had a PLND. I was very lucky! The mass was melanoma but all nodes tested were negative. As for Lymphedema it sounds like you have stage 1 lymphedema like I have. It is controlled with elevation and compression. You might notice it will flare when you are on your feet all day or sick as the lymph system is activated and the area becomes congested. When I first noticed my issue, about a year after surgery, ( I had none during my course of Interferon, there is no extra fluid when you take that killer of a dehydrator) and saw a lymphedema nurse. I was prescribed the full set of compression stockings but went a different route. At the time new studies were emerging about the benefits of slow weight training for lymphedema. Most of it was centered on the arm and connected with breast cancer but I adapted it to the leg. I made sure I had a compression garment on ( mine is a Synergy men’s garment that is meant to go to mid thigh but I can pull right to my groin) and started slow. At first I did Aqua Zumba as swimming in aqua exercise is excellent for Lymphedema then moved on to suspension training and Zumba. It would flare up a little and I would do manual lymph massage ( on YouTube) and compression to work it down. It all worked. If I flare I can get it down in a day or so. Since following this course my flare ups, while annoying, have never caused my any discomfort. I was warned that because of the PLND my lymphedema will increase but I am confident I can control the flare ups. Thank you for sharing your story about managing Lymphedema. I’m not sure I know what the acronym PLND is? I never knew that Lymphedema was staged! I wonder if there are Lymphedema nurses in London Ont? And you’ve given me some really helpful ideas about other types of exercise – I walk, use a stationary bike and do restorative yoga. I used to play tennis but I began finding it too high impact. If I lived closer to a pool I’d love to swim more. I’m still waiting for my diagnosis, my Ultrasound biopsy is this week and there’s still another scan before I talk to the Dr. The waiting is really hard. Thank you for your supportive words, B.
PLND is Pelvic Lymph node dissection. Yes, Lymphedema is staged according to severity. Some suffer with Lymphedema to the point where they are at risk of developing cellulitis due to lack of circulation in the effected areas. There is also something called Manual Lymph Drainage. It sounds much worse than it is LOL. It is basically a light massage to stimulate and move the lymph fluid towards the thoracic cavity. Most registered massage therapists are trained and it is relatively inexpensive it you aren’t covered. There are also simple exercises and massage techniques you can watch and then do yourself on YouTube. With all these avenues I can say after having surgery on the 7th, the inevitable flare up of lymphedema down to the ankle, ( I have only had my ankle involved following surgery) I have no edema in my ankle, calf, and knee. I still have a bit in my inner thigh where the surgery was preformed and a bit in the abdomen. I can where my pre-surgery jeans so I would say I have this under control. Personally I have always resisted the compression stockings offered by my lymphedema nurse as I prefer to layer and adjust garments according to my needs at the time. The stockings are kind of an all or nothing deal. Compression knee socks, inexpensive tubi-grip that can be purchased by the meter at the drug store, compression work out where and “spanx” type undergarments have been my choice. I am with you on the waiting part, waiting for scans, appointments and surgery seemed interminable. It was approximately four months for me between finding the “new” lump and seeing my oncologist and my surgery January 7th. I must say, had I not made phone calls to both the surgeon and oncologist regarding the appointment wait time I would still be waiting for surgery. The abdominal incision healed like a text book version of the healing process but not so the groin. All was goin well, went for my post op visit on January 22nd and all looked good. By February 2nd I started to see some weeping at the incision site. I cleaned, and dressed it daily for a couple days then noticed it was becoming red. Went to my local ER as I had been released from wound care as well as discharged from post surgical care. It was dressed and a antibiotic was ordered to cover. I put a call in to my surgeon but she was off and did not feel while the situation was urgent, it was not emergent, so did not call surgeon on call. That was Friday the 8th. There was minor improvement over the weekend but not enough. I called my surgeons office again on Monday, ended up seeing my Oncologist for a regular appointment on the 12th, saw the surgeon on the 13th and spent the next 5 days in the hospital. The area was re-excised, drained, packed and dressed twice a day. A large seroma ( cyst) was drained. IV antibiotics for 5 days and finally home with oral antibiotics and a negative pressure dressing ( wound vac ) for a couple weeks. The wound is healing very well and rather quickly. I am fortunate that I am still on track to start Nivolumab. It has been a rough couple of weeks but I am back on track now. The moral of this story is: For those of you like me, who have sensory nerve damage, be diligent! Pain is one of your best warning signals that there is a problem. If you have lost all or some of your pain receptors be sure to pay close attentions to heat and redness. I am starting Nivo on Tuesday March 5th via Bayshore. I will be on the two week protocol until my tolerance is established and move to four week. I can’t wait to loose my friendly little vacuum so I can start some mild exercising though the vacuum is pretty handy for removing excess fluid lol.